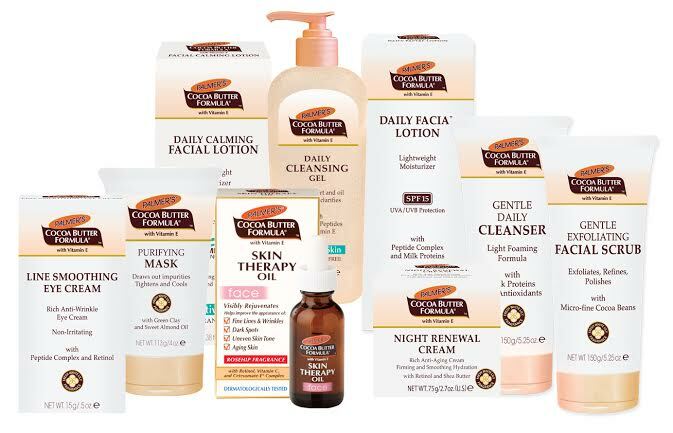 Since my last Palmer’s Giveaway was popular, today I am giving away £50 worth of Palmers facial products! Palmer’s are offering four of my readers a set of facial products to help them update their skincare for summer and to provide them with healthy, clear and glowing skin to reflect their inner confidence. The Palmer’s Cocoa Butter Formula Facial range helps achieve radiant, even skin and uses the highest quliaty cocoa butter combined with soothing Aloe Vera and Evening Primrose perfect for any age and any skin type. They are also offering one lucky pair the chance to become the new faces of Palmer, they can be mother and daughter, sisters or simply friends that love Palmers. They will win a Spa day for two and so much more. To find out more and to enter check out www.facesofpalmers.co.uk or simply use the hashtag #FacesofPalmers on Twitter or Instagram. In the meantime, enter this competition to win one of four Palmer’s Daily Facial Range Goody Bags. There are few beauty task I find more mundane than moisturising my whole body, I mean I am fairly tall, not the skinniest and there is a lot of skin to cover therefore it’s a task that I usually safe just for the hotter month. I’m quite lucky that I don’t have particularly dry skin on my body but especially since I do like fake tan moisturising is something I am trying to add into my routine. They are both great product but would recommend the Palmer’s if you are looking for a little extra moisture and the Vaseline Aloe Fresh is a summer must-have. 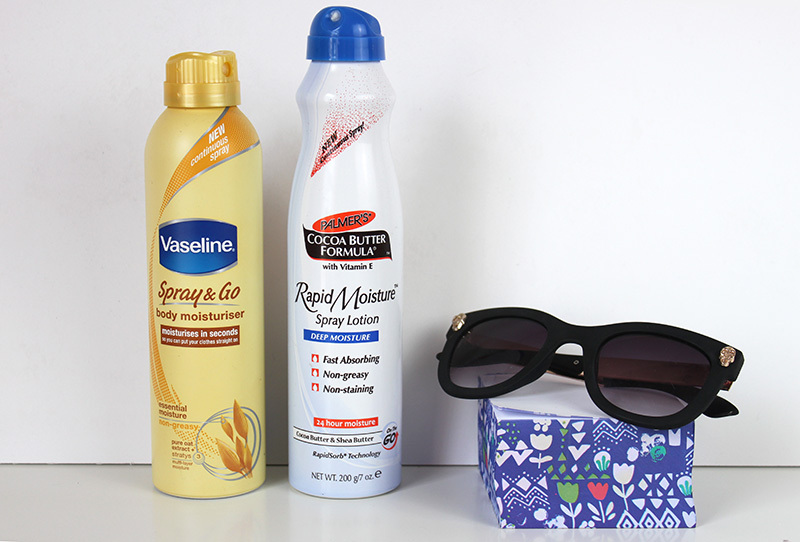 Have you tried a spray Moisturisers? Are you good at keeping up with body moisturising? Palmer’s are trying to help people stop irritating moments. For me it’s my phone dying. Happens all the time, almost daily and can be terribly irritating. 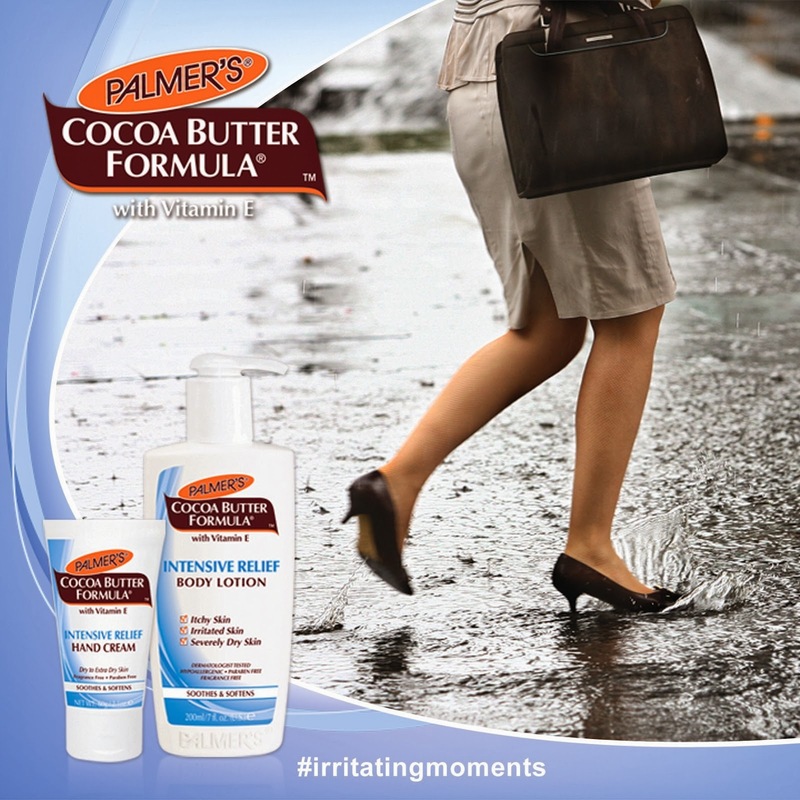 Palmer’s new Intensive Relief Hand & Body Range is the answer to stop the irritation of dry, itchy skin. The range has a unique blend of ingredients but is also fast absorbing and moisturises for up to 24 hours. To celebrate the new range Palmer’s are offering prizes on their own Facebook page but more importantly offering one of my readers the chance to win one of four £50 goody bags! Check out the #irritatingmoments video here and follow the instructions below to enter. UK only.